Get your shopping shoes and Holiday Shopping list ready! 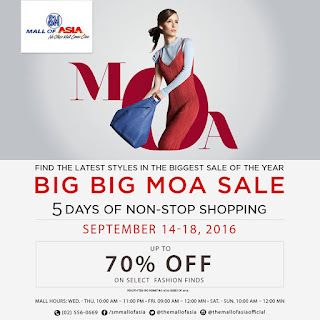 Mark your calendars for SM Mall of Asia's BIG BIG SALE on September 14-18, 2016! 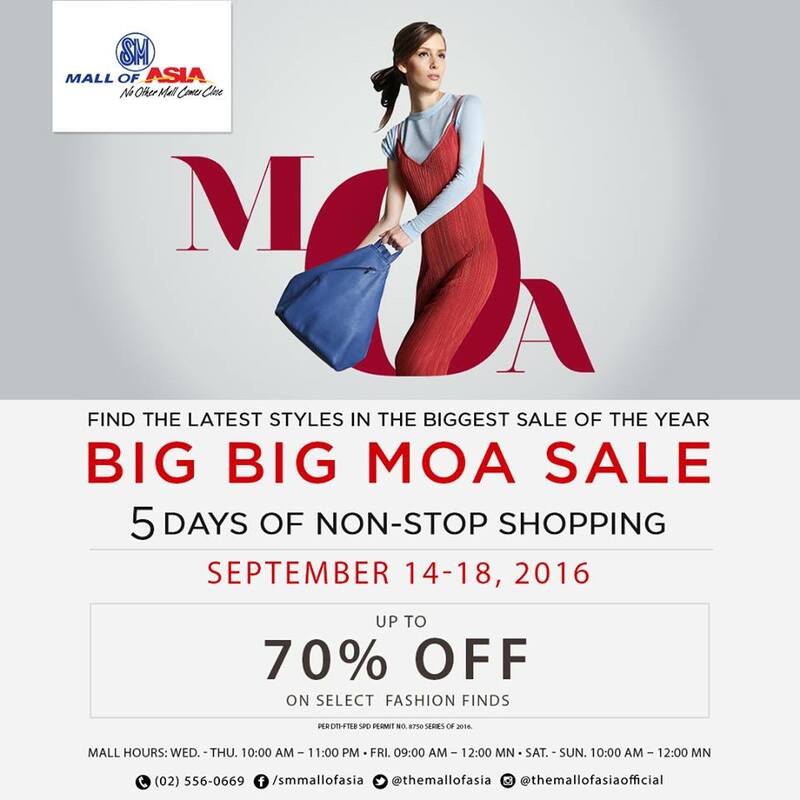 Enjoy 5 days of non-stop shopping (because SM MOA is extending its mall hours!) at great discounts of up to 70% off from over 800 stores mallwide! 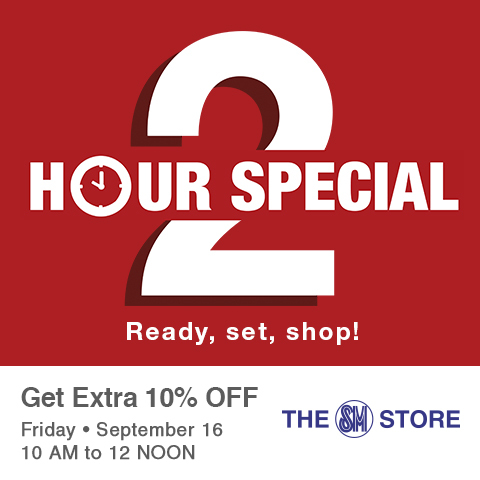 SM Advantage, SM Prestige, and BDO Rewards members get extra 10% OFF during the 2-Hour Special on Friday, September 16, 2016 from 10 AM to 12 NOON when you shop at The SM Store and select SM Retail partners located at the SM Mall of Asia. 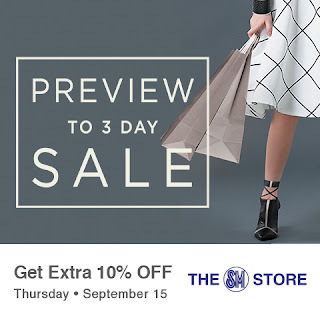 Will there be another 10% dc (SM advanntage) for the first 2 hrs on the first day of Sale?